It’s known as the 2:30 feeling. Even if you had a good night’s sleep, a very productive morning and a healthy lunch, your productivity can still fade as the day goes on. But based on scientific research, there is a supplement that has the proven ability of enhancing your cognitive ability and upping your energy levels. It’s called L-theanine. It’s an amino acid that is found in tea and in some kinds of mushrooms. And it comes with some big benefits. 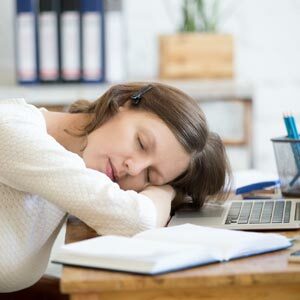 Not only can it help you stay awake and alert, it can even keep you relaxed while stimulating your creativity — something that’s vital when it comes to getting through your day. How does it work? L-theanine boosts the alpha wave activity in your brain. Those are the waves that are responsible for lowering your stress and relaxing your brain — all without making you drowsy. They occur when you’re awake and they promote creativity and help you to concentrate. And L-theanine keeps you alert and boosts your energy levels by increasing the neurotransmitters in your brain like serotonin (the happiness chemical) and GABA (a messenger between your brain and nervous system). This effect can be boosted even further when you take L-theanine along with caffeine (think that morning cup of coffee you love to start your day with). While L-theanine can be found in tea, the amount you get is not enough to enjoy the benefits we just talked about. To achieve the alertness, relaxation and creativity you’re looking for, you’ll need to take a high-quality L-theanine supplement. • Holy basil powder to reduce anxiety and help you feel happier.